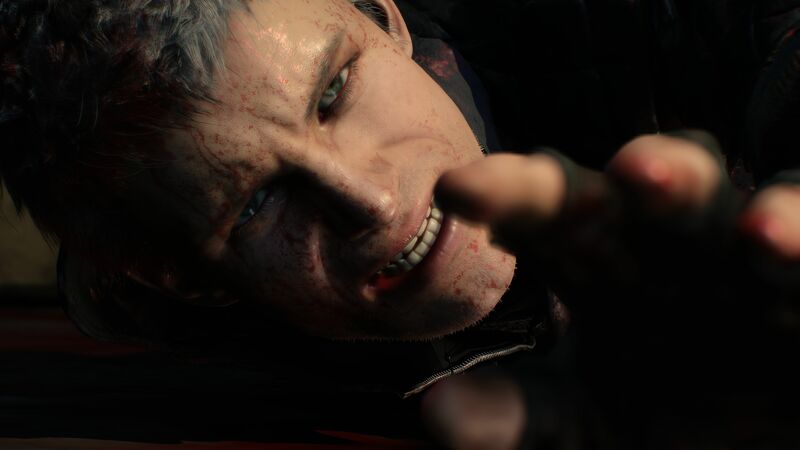 At its PAX West 2018 panel, Capcom revealed that Devil May Cry 5 will come with a photo mode, a gallery mode, and a training mode. The full panel, which Gematsu was kind enough to share on YouTube, is embedded below. It showcases the Goliath boss battle, Gallery mode, and Devil Breakers including the Overture, Gerbera, Punch Line, Tomboy, Ragtime, Helter Skelter, and Rawhide. The first Devil Breaker built by Nico. An orthodox weapon compared to the other arms, damaging enemies with electric bursts. Its name is derived from this straightforward functionality. The first Devil Breaker available in the game, this arm is easy for starting players to use. A Devil Breaker that launches shockwaves from its petal-shaped complex reverberatory furnace. The recoil can be used for instantaneous movement, and converging the shockwaves makes it fire a high-output energy beam. Beautiful design belies tremendous firepower. Rare demonic minerals give this Devil Breaker jet propulsion power, packing incredible destructive force behind each blow. The arm can detach to fly around autonomously, during which Nero can ride it. Slam into demons in this mode for even more damage. This arm was crafted from special materials obtained from a powerful foe. Creates special force fields that warp and slow the flow of time for all within them. Convenient for taking on multiple foes at once, the utility of this Devil Breaker varies based on your play style. Nico tried to recreate Nero’s lost demonic arm, resulting in a powerhouse capable of throwing enemies with devastating force. This brute strength comes at the price of reduced durability, but the chance to toss around massive demons is well worth it. We’ll update our readers when more details are announced.